After surviving the Somme, American Ned Tobin remains in France with an officer’s commission, a safe training post and the captivating Adèle Chéreaux on his arm. Upended by the U.S. entry into the War, he’s called home to train the woefully unprepared Americans while Adèle flees the last German advance. Young Harlem lawyer Chester Dawkins embarks for France anxious to prove himself, leaving behind his sister, Lena, with crippling family debt. 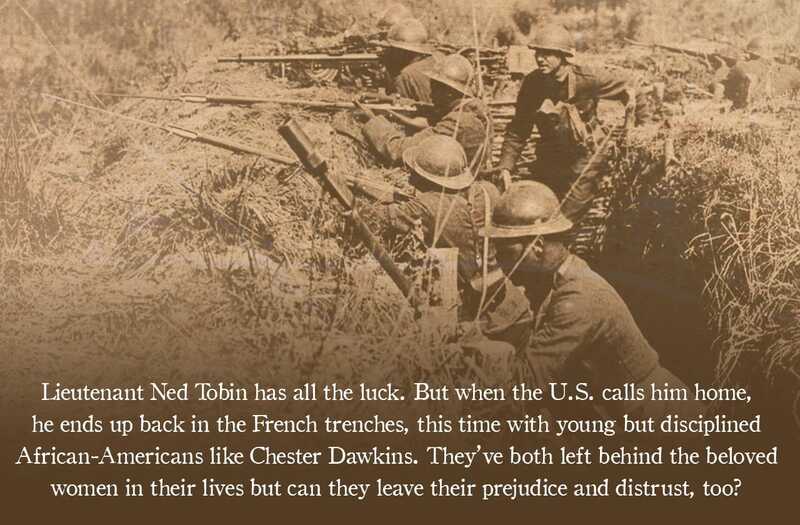 When Ned returns to France with Chester’s regiment, can these men overcome long-held prejudices and find common cause? When the fighting ends, how do all four face an uncertain future? Journey through avant-garde Paris, Prohibition-era Harlem and newly independent Ireland in a heart-wrenching yet hopeful story of love and loss in Truly Are the Free. Ned Tobin leaves his Newfoundland comrades to join the American forces in 1917. Chester Dawkins, son of an affluent African-American family, joins a newly formed regiment destined for France. They both confront their long-held assumptions and prejudices when Ned is assigned as a white officer to Chester’s “colored” regiment, the 369th. Meanwhile, sister Lena Dawkins secretly chooses an unsavory path to keep her family’s Harlem home. And Ned’s beloved, the alluring Adèle Chéreaux, carries a secret of her own as she flees the Germans to an uncertain future in Paris. In Truly Are the Free, the second book of the Sweet Wine of Youth Trilogy, these intriguing characters from None of Us the Same and some surprising new ones come vividly to life. How do the soldiers of the 369th endure the unspeakable horror? What new relationships lie ahead in Jazz-Age Harlem and avant-garde Paris? Can Ned and Adèle find happiness together? 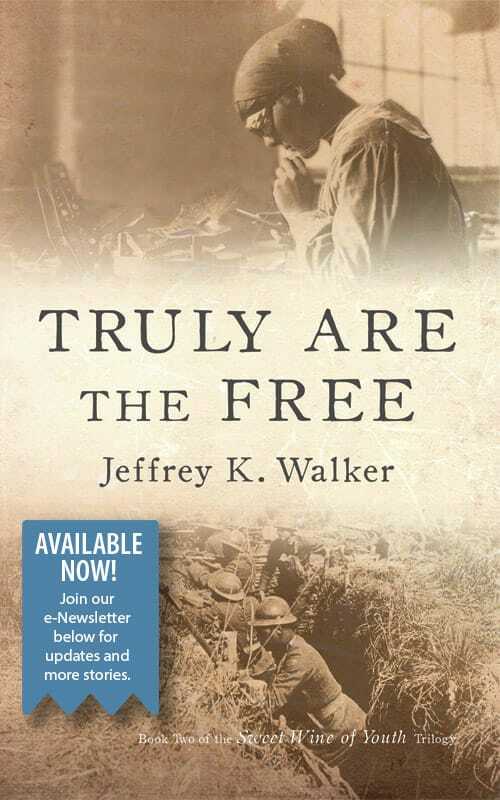 Click one of the store links below to purchase Truly Are the Free. Also available internationally. I’m excited to bring you the first and second volumes of my trilogy set during and after the First World War, an epoch of unprecedented violence and social change. I invite you to join in the exploration of lives dramatically impacted by the bloody, long war. Through my vivid characters and rich historical settings, I hope that you’ll be drawn into the compelling struggle. Feisty Deirdre Brannigan hated the very idea of war in 1914. Newfoundlanders Jack Oakley and Will Parsons thought it a grand adventure. They and their lifelong pals head off to war with visions of glory and a rapid return home. Racked with guilt after a terrible loss, Deirdre joins the war effort as a nurse. Their paths cross as the War’s relentless cruelty bears down. How did it all go so horribly wrong? When the guns fall silent, can Deirdre overcome her lingering guilt through a new life with Jack, himself battered and trying to forge a place for them at the edge of a wounded Empire now at peace? Can shell-shocked Will bear the weight of his family’s expectations back in Newfoundland? Their way forward is fraught with guilt, family intrigue, and ill-advised choices yet tinged with blossoming love and acceptance. Can they move past their shared history of suffering and loss? Click one of the store links below to purchase None of Us the Same. Also available internationally. None of Us the Same Reader’s Guide. 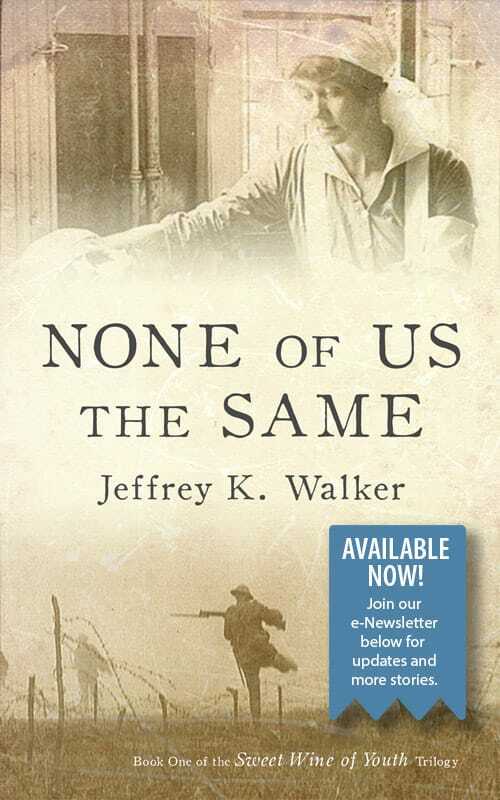 Send me "African-Americans in WWI"
Awards for "None of Us the Same"
Awards for "Truly Are the Free"